The applicants in this case legally owed or rented land in Transnistria. At some point, the separatist government started demanding them to pay fees for using this land and when they failed to do so they were prevented from accessing their land. The ECtHR found Russia in violation of the right to property (Article 1 of Protocol 1) and the right to an effective remedy (Article 13). This case is worth noting for a number of reasons. First, the Court has cemented its findings from the previous cases that Russia is responsible for human rights violations that take place on the territory of Transnistria. It means that Russia exercises effective control over this part of the Moldovan territory and the action of the separatist regime are attributable to Russia. The Court established the fact that Russia is effectively controlling Transnistria in Ilascu and others v Russia and Moldova. In that case the applicants were detained and stood before a criminal court on the territory of Transnistria. The Court found that the Convention was violated by both Moldova and Russia. Russia was responsible for the violations committed by the Transnistrian administration. And Moldova was not active enough in its attempts to liberate the applicants. That said, the Court established that Moldova did not have effective control over that part of its territory. In the subsequent Grand Chamber case of Catan and others v Moldova and Russia, the Transnistrian authorities closed a number of schools in which Romanian was the language of instructions. The Moldovan authorities helped to restore these schools on the territory controlled by the Moldovan government and the Court was satisfied that they discharged their human rights obligations. Russia was again found in violation of the Convention; this time the right to education was violated (Article 2 of Protocol 1). In the more recent case of Mozer and others v Russia and Moldova, the Grand Chamber of the Court found only Russian authorities in violation of various articles of the Convention. The Russian authorities have never accepted that they exercise effective control over this territory. Moreover, the judges elected in respect of Russia traditionally write dissenting opinions in ‘Transnistrian’ cases. For example, in the case of Mozer the Russian judge was the only one of seventeen who voted against finding Russia in violation of the Convention. The case of Sandu and others v Russia and Moldova clearly shows that the Court is not going to back off from its position that Russia is exercising effective control on the territory of Transnistria. It seems that if the situation does not change dramatically the applicants from Transnistria can bring their applications exclusively against Russia. The Russian authorities still have time to request the referral of this case to the Grand Chamber of the Court but its success seems unlikely because the Chamber heavily relied on the previous case law of the Court. Second reason to pay attention to this case is the scale of affair. In this case, the Court dealt with more than 1600 applications and awarded almost 2.5 million euros in just satisfaction. It is not the biggest award ever allocated by the Court but perhaps one of the highest number of applications dealt with in one case. This number of applications can be explained by the fact that there were no effective remedies that could be used to prevent these applications from landing in Strasbourg. In certain instances, for ‘legal black holes’ like Transnistria the European Court of Human Rights is the only place where the arguments of the applicants can be heard and violations of their rights are at least acknowledged. The last but perhaps one of the most important reasons to keep an eye on this case is its fate at the stage of execution. Russia is not the most eager client of the Committee of Ministers – the body that supervises execution of the judgments of the European Court – in general and it is even more so in the ‘Transnistrian’ cases. For example, the judgment in Catan and others v Moldova and Russia which was delivered in 2012 has never been implemented. Implementation of the Court’s judgments require three sorts of implementing measures. The state first needs to pay monetary just satisfaction if it has been awarded. Just satisfaction is usually the least controversial stage of implementation of a judgment. Normally, the Court’s rewards are not significant for the respondent states. Of course, there are noticeable exceptions in which just satisfaction is the key issue of controversy like cases of Yukos v Russia or Cyprus v Turkey. In Catan, Russia failed even to pay just satisfaction to the victims of violation. The second set of implementation measures include individual measures which can remedy the personal situation of the applicant. For instance, if an applicant is illegally detained she should be released. In Sandu, the main violation concerned the right to property and therefore it can be rectified by paying compensation and ensuring that access to property is restored. The most complex set of implementation measures are called general measures. These measures often require legislative reforms to ensure that violations found by the Court will not repeat. Unlike for example just satisfaction, these measures can be lengthy, difficult, involve major legislative change and redistributions of resources. The state in question should be willing to reform for these measures to be successful. If a state fails to comply with much ‘easier’ monetary compensation it is unlikely that it will at all involve into much more complex reforms. Unfortunately, lack of progress in Catan shows that Sandu’s fate can be the same. It means that it is highly likely that the Russian authorities will delay payment of just satisfaction in this case. Although the Court is consistent in its approach to Transnistrian cases finding that Russia exercises effective control over this territory there is a high chance that the Russian authorities will also be ‘consistent’ and refuse to abide by the final judgment of the Court despite a clear obligation to do so. For more about implementation of judgments and many other questions of the European Convention on Human Rights see F de Londras and K Dzehtsiarou, Great Debates on the European Convention on Human Rights (Palgrave, 2018). 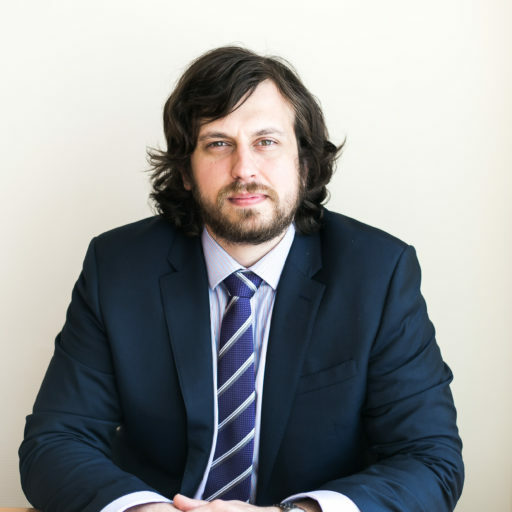 SUGGESTED CITATION Dzehtsiarou, Kanstantsin: Sandu and Others v Russia and Moldova: The High Costs of Occupation, VerfBlog, 2018/7/23, https://verfassungsblog.de/sandu-and-others-v-russia-and-moldova-the-high-costs-of-occupation/, DOI: https://doi.org/10.17176/20180724-093128-0.